Each year, California Baptist University sends out hundreds of students on international and United States service projects. This year, teams are aiming to think outside the typical fundraising paths that have been done by teams in the past. Kelsey Lamb, junior psychology and communication studies double major, said her team sold knitted hats and headbands as its first fundraising project. Selling individual items was an immediate success for Lamb’s Poland team. “We’re planning on doing a lot more of the hats and headbands because they sold really well,” Lamb said. Jacqueline Garland, senior history and international studies double major and student leader for the United Kingdom service project, has been brainstorming some creative alternatives for her team. “We know there’s a lot of teams that do T-shirts, so we’re trying to find something different,” Garland said. One of her team’s goals is to have an ice cream fundraiser in Orange County. 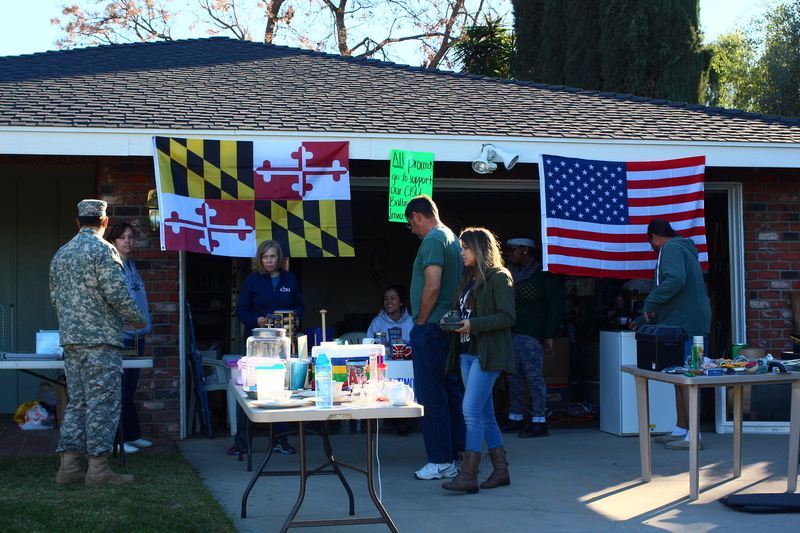 The Baltimore service project held a garage sale to jumpstart fundraising for their team as a whole. “We are selling everything from clothes to baby clothes, shoes and other miscellaneous items,” said Gabrielle Gutierrez, junior health science major and Baltimore service project student leader. Gutierrez said team fundraisers are an important asset to team building.